I'm really liking the unstructured format with regard to dates that I gave myself. I ended up with January 1 through 10 in one spread. Here's a look at the full spread. The left page you saw last week. 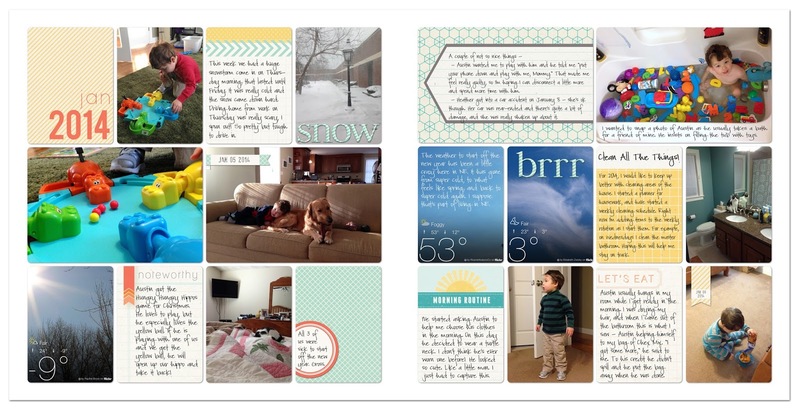 I thought that when I shared these layouts they seemed a little plain, as I've opted to use a white background. I don't care for a border or paper behind my "pockets" - it just seems too busy. But when I was sharing them, the lack of a border seemed a bit uninteresting. So to compromise, I've added a little drop shadow on the file I post to the blog. It will not be in my photo book. Once again, I'm using the Coral Project Life Edition for this page. The template I used is from Cathy Zielske. I used the Coral paper with one of the date bits freebie templates that was up on Sweet Shoppe Designs last year. (They have a ton of new freebies for 2014, you should check them out if you're into digital scrapping). I am in love with the font I chose for this year's album - from Kevin & Amanda, called Pea C-Squared. I really like that it's a beautiful handwriting, so it looks like I'm still adding that personal touch that would be in a paper version of this book (even if it's not MY handwriting). 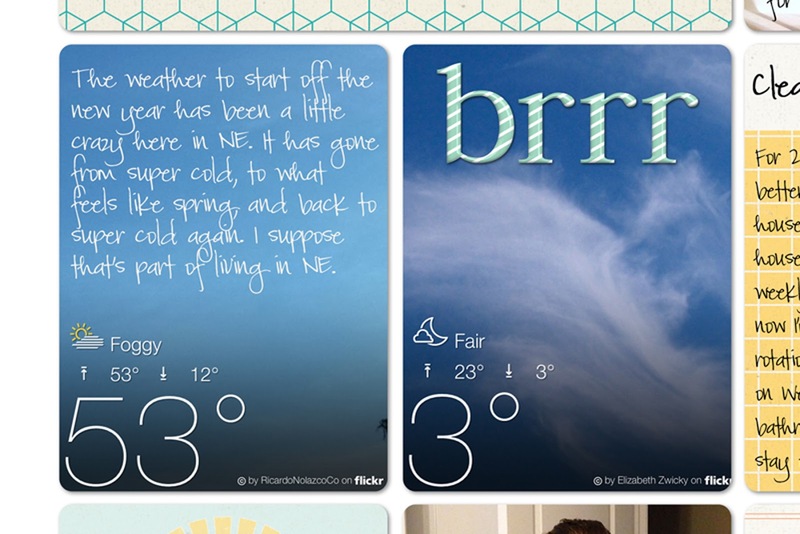 I kept up with the weather topic I'd started on the left page and added a couple of other screenshots from my iPhone. I used the James alpha freebie from Pixels & Company again over one of them. And I just changed my font to the color of the background of the Coral Edition cards and typed right over the screenshot. I think my plan will be to change up the kits I work with each week. 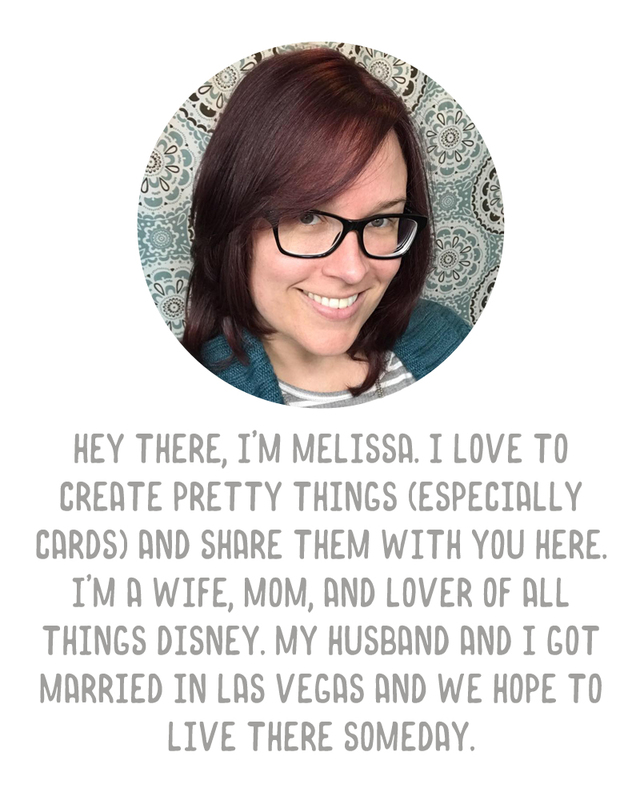 I also plan to use kits that don't include journaling cards. I've found a lot of great embellishments and paper patterns online that I'm excited to use on my layouts. I agree ... that's such a cute font and really does look like handwriting. 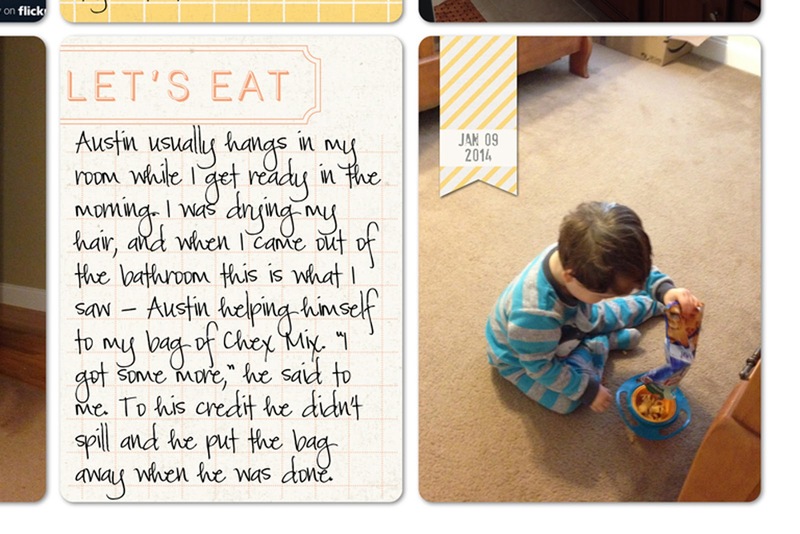 That picture of Austin in the tub made me laugh b/c that is a LOT of toys ... how fun! He's so crazy about the toys. We started with a few and then he got a few more and he never wanted to give up the older ones. So the stash has been growing and every time he takes a bath, he puts them all in the water, and helps put them all away after he's done. It's so funny. love those weather shots from your phone…would love to know what app that is. so much nicer than the current one I'm using. 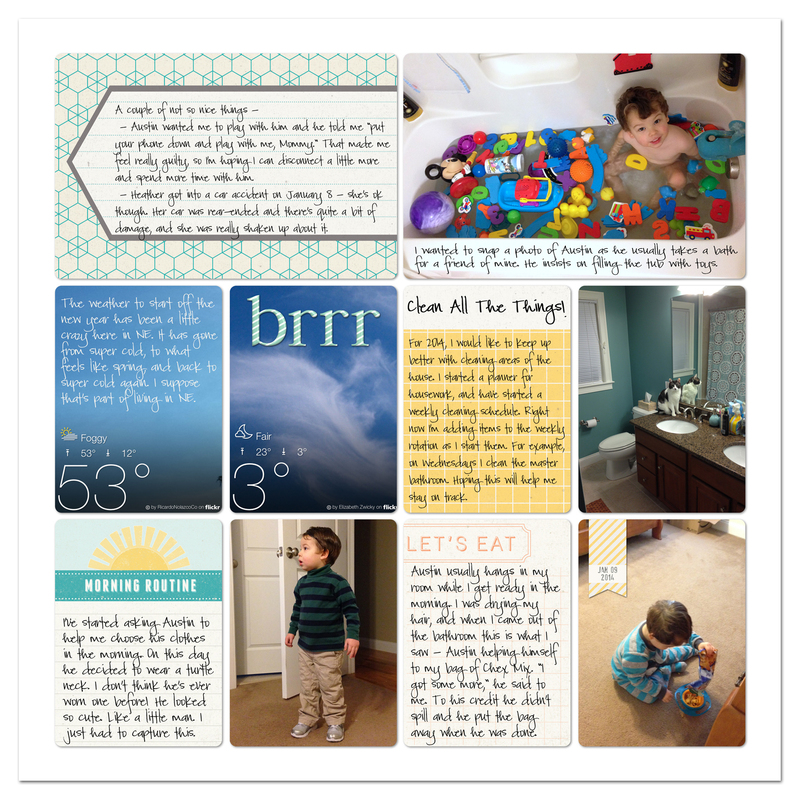 Love that it leaves you room to add some journaling! I like Yahoo Weather. I find the images beautiful. Okay, girl, tell me your secret. How do you get the text to line up with the lined cards?! It's driving me crazy. Totally true. :) And I forgot you can drag the size of the text box! That's going to change my entire digital PL... life, haha. Thanks, I'll have to give that a try!